We have three sets of four tickets to give away for the clash between the Stormers and Vodacom Bulls in Cape Town on Saturday. 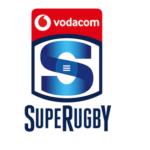 Vote for your SA Vodacom Super Rugby Player of the Month for March and you could win a Samsung Galaxy Note 9, courtesy of Vodacom. 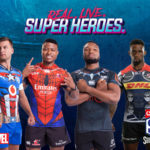 Thanks to our friends at Vodacom, we have 10 sets of four tickets to give away to the Vodacom Super Rugby pre-season clashes on Superhero Sunday at Cape Town Stadium. 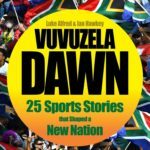 Win SA Rugby Annual signed by Rassie! 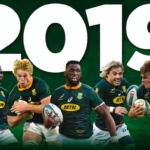 Stand the chance to win one of five copies of the 2019 South African Rugby Annual, signed by Springbok coach Rassie Erasmus! 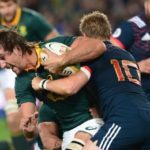 Scotland vs Boks: Predict score and win! Correctly predict the score of the clash between Scotland and the Springboks at Murrayfield on Saturday and you could win tickets to the Cape Town Sevens in December. 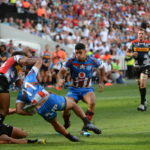 France vs Boks: Predict score and win! Correctly predict the score of the clash between France and the Springboks in Paris on Saturday and you could win tickets to the Cape Town Sevens in December. 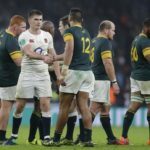 England vs Boks: Predict score and win! Correctly predict the score of the clash between England and the Springboks at Twickenham on Saturday and you could win tickets to the Cape Town Sevens in December.